Dziedināšana Remedies was commissioned by the 1st Riga International Biennial of Contemporary Art, RIBOCA1, Everything Was Forever Until It Was No More, curated by Katerina Gregos. 2 June - 28 October 2018. Dziedinā¨ana Remedies (2018) presents Latvian sauna culture as a form of commonly shared healing remedy. Pirts is the old Latvian traditional cleansing space, corresponding to that of a Finnish sauna or a Russian banya. The pirts-related cleansing ceremony is considered to have both physical and mental benefits. 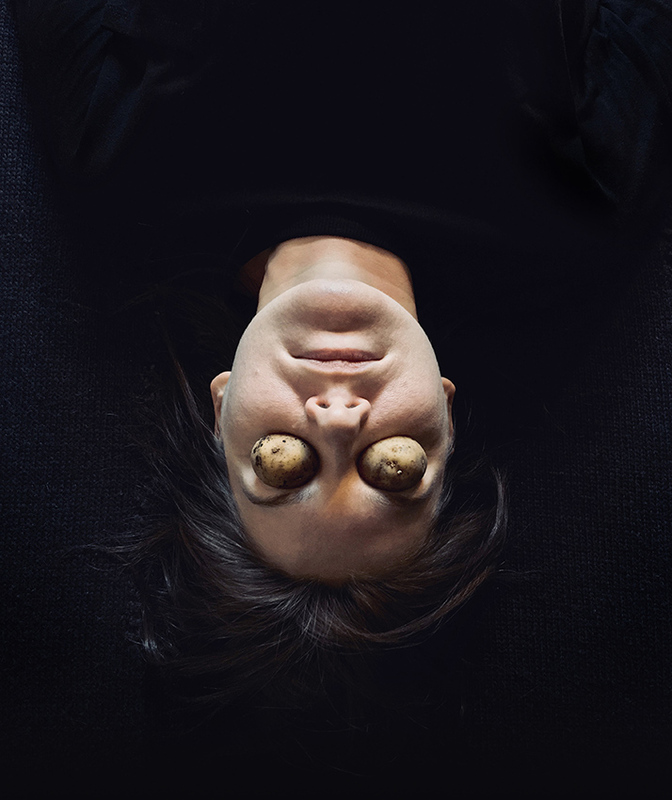 Latvian people share healing practices and rituals such as pirto¨anās which is a sacred practice, where not only the flesh but also the mind and spirit are being cleansed and cured. These traditions live and survive among practicing generations, commonly bound to oral traditions. Natural forms of self-reliance and care are shared orally as remedies and practiced in combination with established medical systems. Remedies bind people and the landscape together without extensive technological means. They are living practices that utilise plants and other natural resources that survive and evolve in the hands and words of people who consider ecological thinking as a source of their and others’ wellbeing. Most cultures have methods of self-help and medical healing. When it comes to health, we rarely use our common sense and environmental awareness. Regardless of whether the methods actually work or not, they contain strands of cultural and inherited knowledge that celebrate a heritage. Perhaps people’s attitudes to healing are inscribed into beliefs and the enactment of narrative remedies. 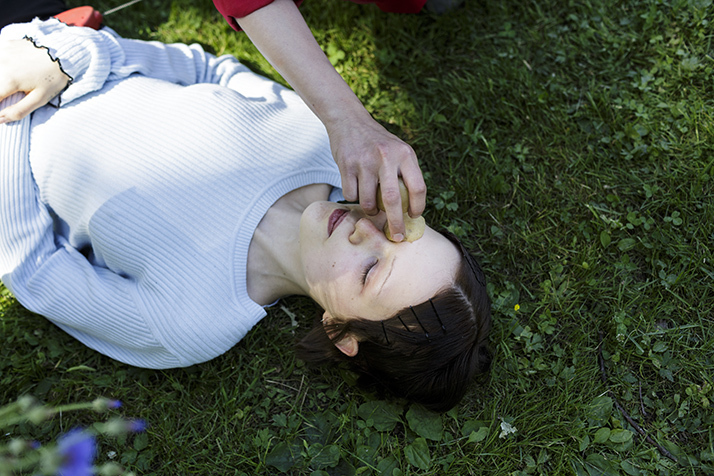 Since 2011, Sasha Huber & Petri Saarikko have been working on the Remedies project. The project explores methods of self-help and medical healing in different geographical and cultural contexts. Remedies has taken different form of expression such as live performance and video around the world in Sweden, New Zealand, Australia, Haiti, Russia, Germany and Tasmania. 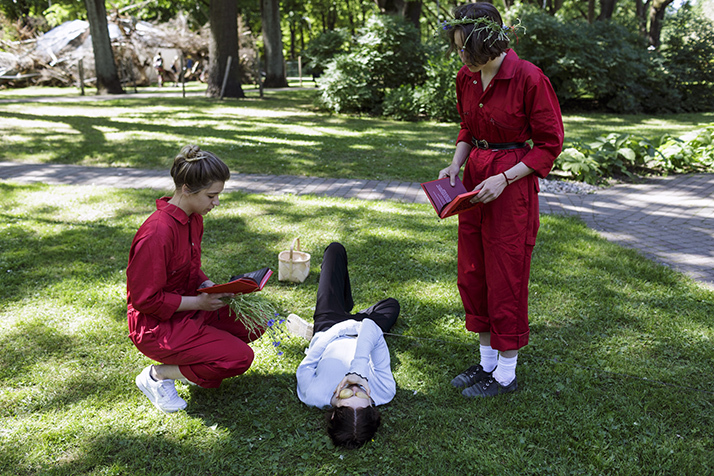 The artists have developed the Remedies project for the Riga Biennial. 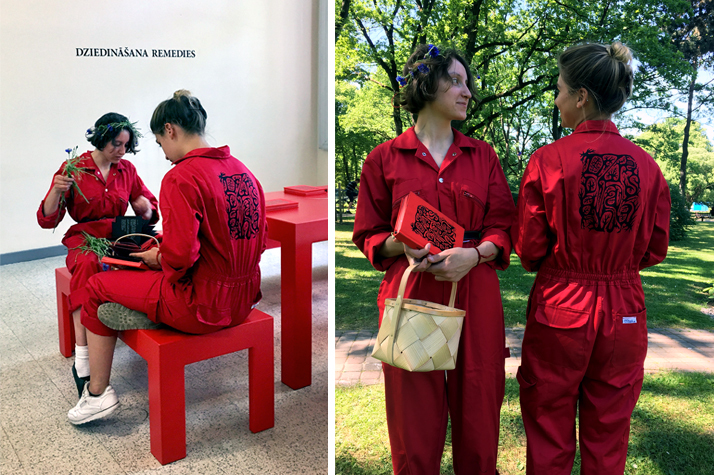 Dziedinā¨ana Remedies (2018) is an artistic research project focusing on expanding contemporary form of pirts related practices, which manifests as a publication. Celebrating the informal networks of commonly shared remedies, the publication is the result of a series of encounters and documentations of remedial practices through photographs, drawings and texts. 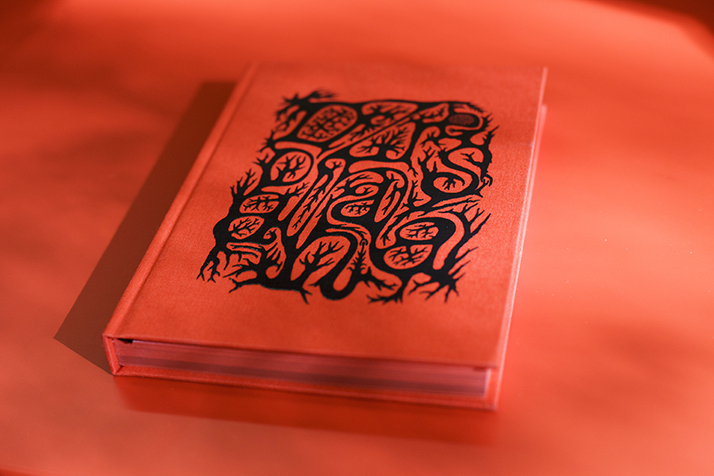 Taking the form of a designed book, it includes textual accounts, testimonies and interpretations of actual and imagined pirts sessions and related performative scripted remedies.